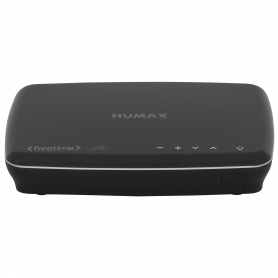 With the Humax HD-1100S Freesat recorder, youâll never miss your favourite shows again. A huge 500 GB hard drive gives you plenty of space to record a whole series at the touch of a button. Save a huge 300 hours of standard definition content or 125 hours of HD programmes to watch at a convenient time for you. 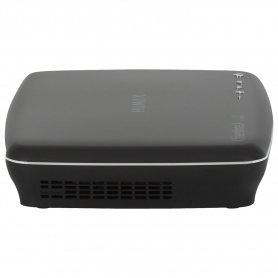 Freesat is a great quality, subscription-free satellite TV and radio service. With access to over 200 channels, youâll never be stuck for choice. 11 HD channels are available, including content from your favourite broadcasters like the BBC, ITV and Channel 4. Enjoy programme categories such as entertainment, sports and movies â youâre sure to find something to suit your mood. Built-in Wi-Fi is a handy feature, helping you connect to your home network straight away. 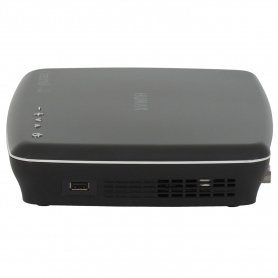 Using the Freesat App, you can even control your TV remotely from your Smartphone. Parental controls give you peace of mind in controlling what your children can watch. This recorder comes with Freetime, a smart on-screen guide thatâs super fast and simple to navigate. A Roll Back Guide lets you catch up on any programmes youâve missed over the past 7 days, across 26 channels. Catch up TV and video-on-demand services let you watch the most popular shows from BBC iPlayer, ITV Player, Demand 5 and All 4, at the touch of a button.Â In addition, the fully integrated Netflix app gives you access to a plethora of content, from blockbuster films to gripping TV dramas. Make sure you donât miss a minute of the action with the pause, rewind and record live TV feature. Twin tuners ensure you can watch all your favourite shows, even if they clash. 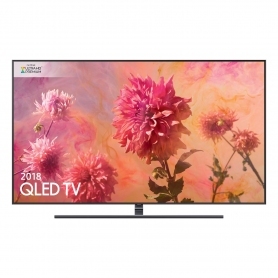 Record one channel while watching another, or record two different channels simultaneously â perfect if youâre going out Saturday night and want something to watch the next day. 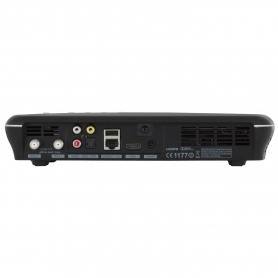 Please note, this Humax TV recorder needs a fully installed satellite dish to operate and a broadband connection is required to access all of the best Freetime features. 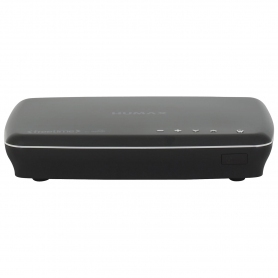 The Humax HDR1100S500GBBL is the perfect digital video recorder for people who donât want to miss out on any of the action. Buy yours today to see what the fuss is about.